Exeter GCC shortlisted for ‘Most Welcoming Club of the Year’ in the annual England Golf awards. 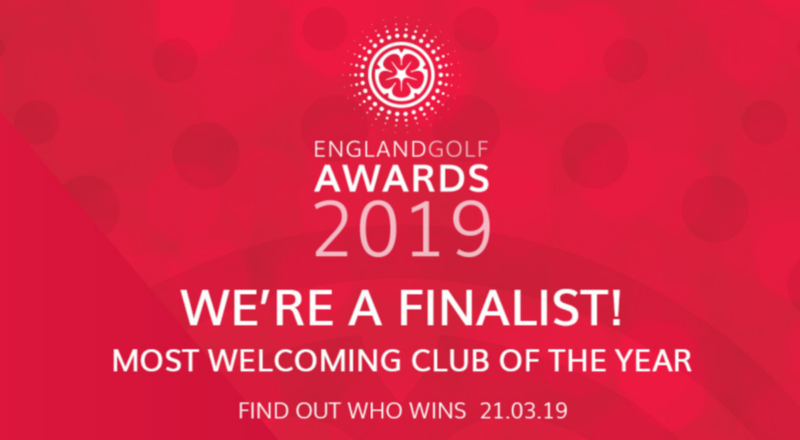 Congratulations to Exeter Golf and Country Club who have been shortlisted as a finalist in the 2019 England Golf Awards. The club is one of four golf clubs to be in with a chance of winning the prestigious title of ‘Most Welcoming Club of the Year’ in the annual national golf awards. The winner will be announced at the England Golf Awards Dinner on 21st March at the Royal Lancaster, London, hosted by BBC Breakfast presenter Dan Walker. Chris Jones, General Manager of Exeter Golf and Country Club said, “To say we are proud of this achievement is a huge understatement. Whilst golf is one of many sports and facilities available at Exeter Golf and Country Club, it is the origins of the club. This year we are celebrating 90 years as a golf course in our current location (originally opening in 1895 elsewhere in the city! ), and have focused on developing our golf course, our team and the ethos of the club to be welcoming, to promote golf across gender, age and experience. We are committed to developing a club which embraces tradition whilst moving forward with a contemporary approach to the game so that golf continues to thrive as a sport into the future.